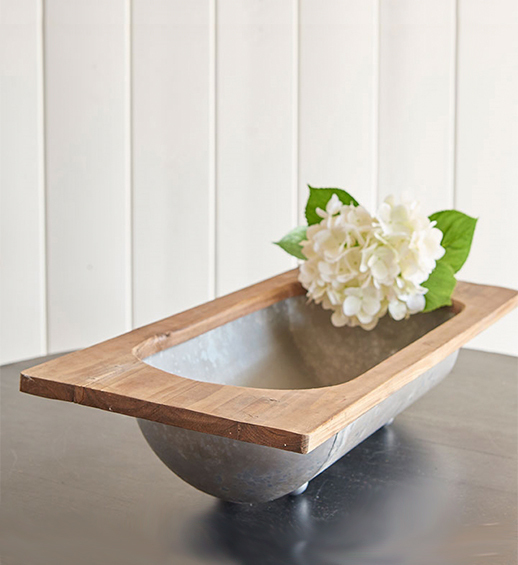 The Hamish Galvanized Metal Trough is a handsome decorative bowl. 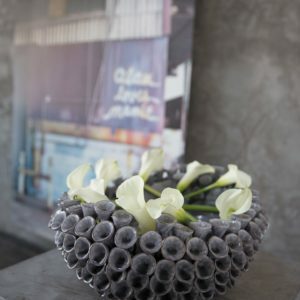 Made of fir wood and metal, the natural materials in this container create a perfect centerpiece. 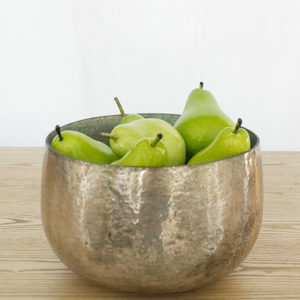 We adore it with European Farmhouse or Rustic home decor to display fruit, flowers or candles. Although it’s a wonderful housewarming gift filled with crisp linens, it’s equally as perfect for entertaining. So, will you gift it or decorate with it? It doesn’t have to be a “trough” decision.